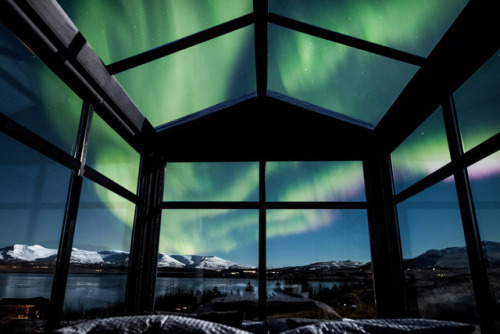 Take in the magic of the Aurora Borealis with a stay at the Panorama Glass Lodge. 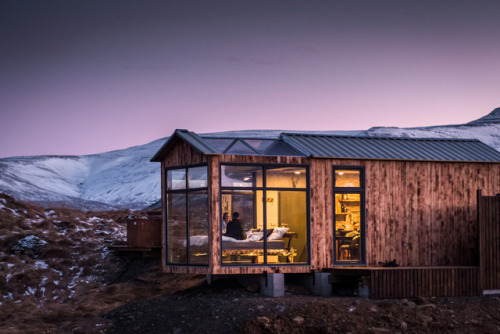 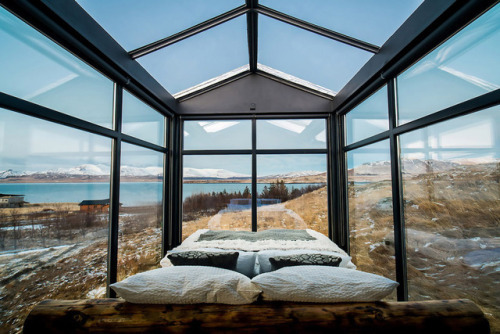 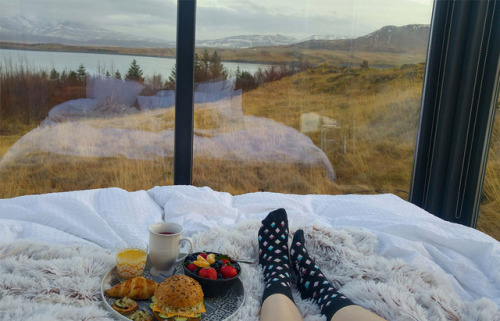 Nestled by the shore of Hvalfjörður fjord, only a 30-minute drive from Reykjavík, the standalone igloo-like cabin has a bedroom made entirely of glass, offering epic panoramic views of the surrounding bay, snow-capped mountains, and clear, unpolluted skies. 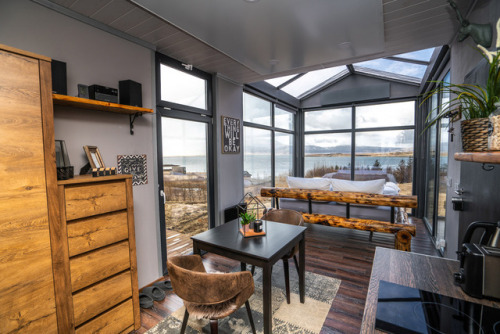 Awash in natural colors and materials, the interior is chic, cozy, and modern, with a small fully-equipped kitchen and an atmospheric bathroom with rainforest shower. 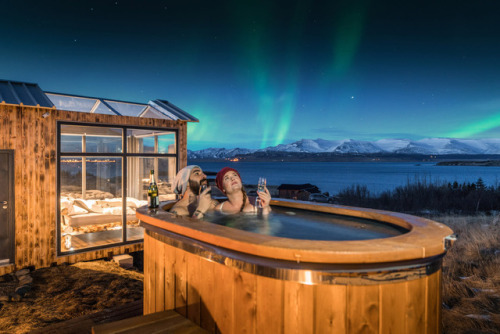 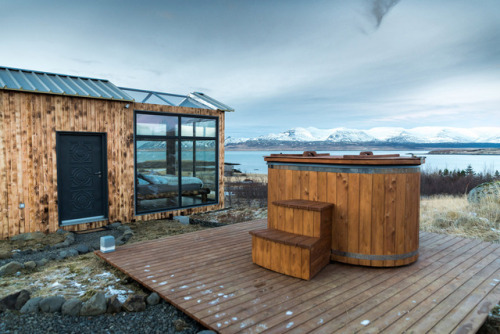 Complementing the remote fjord-side retreat is a dreamy outdoor hot tub perfect for stargazing.